Helifly can provide you with luxurious helicopter charter travel to anywhere you want to go. 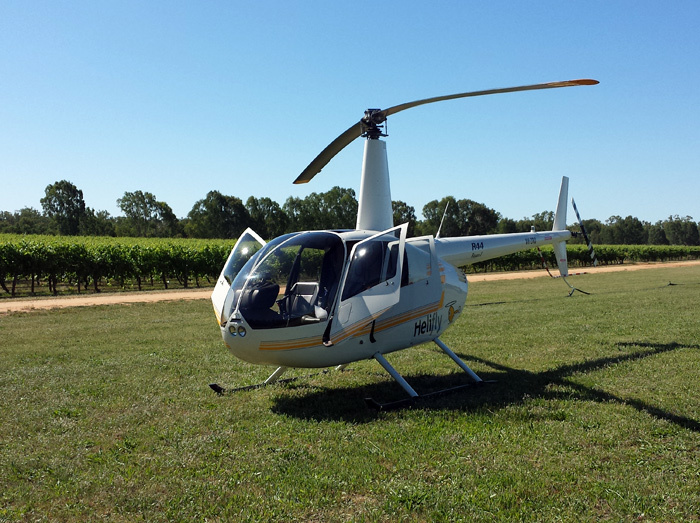 What a great way to see the area from above and arrive at your destination quicker and more relaxed. Helifly can provide you with a breathtaking scenic helicopter flight from Albury to All Saints winery in Rutherglen or Brown Brothers winery in Milawa for a gourmet lunch and fly you back to Albury after you have enjoyed some great food and tasted some wonderful wines in the relaxing atmosphere amongst open grass areas and vines. What a great way to impress a loved one and celebrate an anniversary or birthday or perhaps surprise that special someone with a spectacular proposal! Prices are $580 per person for an all-inclusive experience at All Saints. Minimum 2 passengers. $650 per person for an all-inclusive experience at Brown Brothers. Minimum 2 passengers. Gift Vouchers are available. Please call us on 0423 697 611 today! Helifly offers Heli-Fishing which is a great adventure for people who are interested in fly-fishing in the beautiful area all around North East Victoria and Southern NSW regions. It is a fully packed day adventure with a fantastic scenic helicopter flight to a remote fishing area with a Fly-fishing guide and instructor. 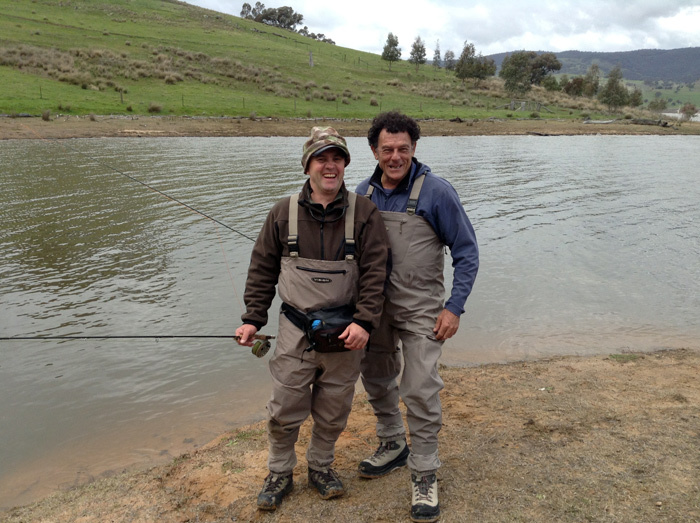 You will get instruction on the best technique to catch a fish and enjoy the great outdoors with a complimentary gourmet lunch and drinks followed again by a fabulous helicopter flight back to Albury as the day is coming to an end. What a great way to see and explore the beautiful area surrounding Albury and get to places you would never get to by a car. The experience is a well organized trip that would suit anyone who loves fishing and exploring the rugged wilderness of this fantastic area. Prices are $1050 per person. Minimum 2 passengers. Helifly can take you in the helicopter for a breathtaking scenic flight for a Champagne Picnic to see Craig’s Hut an iconic landmark symbol of Australia’s settler history which was built for the movie The Man from Snowy River. 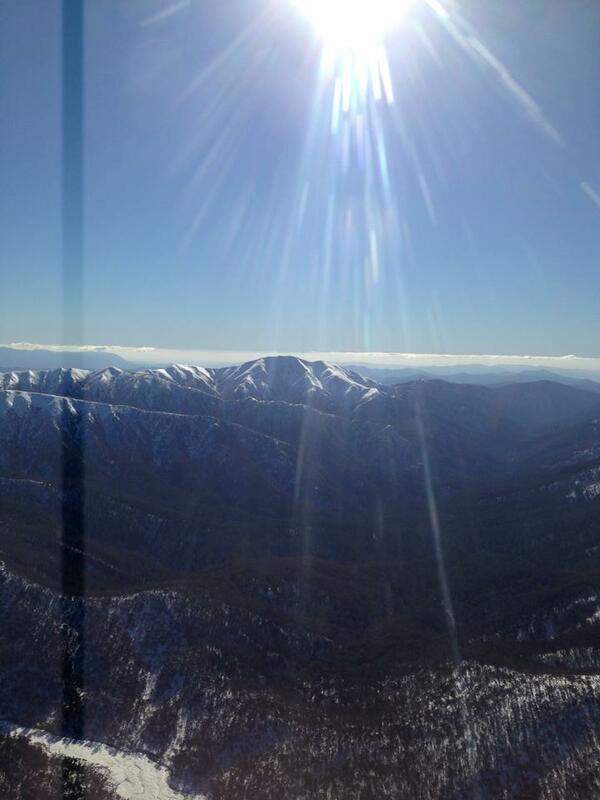 The Hut is situated on Mount Stirling north East of Mount Buller ski resort and offers stunning views of the ranges. We will pack a picnic with Champagne and gourmet lunch for you to enjoy whilst surrounded by the Alpine wilderness. The Breathtaking scenic flight from Albury takes you over the mountains with the view over Beechworth and Myrtleford townships and Mount Buffalo before exploring the Alpine wilderness as you approach Mount Stirling. Try to impress a loved one to celebrate an anniversary or birthday or surprise that special someone with a spectacular proposal! Prices are $990 per person. Minimum 2 passengers. Arrive in style at the golf course you want to go to for the day and enjoy the fabulous scenic helicopter flight to your destination. After playing golf and having a wonderful day you can sit back in the helicopter and get back home with breathtaking views from above and beat the traffic. Prices depends on location, please call us to enquire on 0423 697 611. This is just a start, we can tailor make a charter flight to suit your specific needs or desires. Just let us know where you want to go and what you want to see and we will be able to help you get the best experience ever! Helifly offers a range of helicopter services including Charter, Aerial Work and helicopter Flight Training up to a Private or Commercial Pilot Licence. Helifly also offers a wide range of Scenic or Joy Flights to suit your needs.